We all need a little sweet & salty treat now and then. For the past couple of days I’ve been craving chocolate and today I caved! The following recipe makes 25-30 balls of tasty goodness to help pacify that sweet tooth. Slightly melt the butter and peanut butter in a microwave save bowl. Stir well and combine with the powdered sugar and the cereal. If your mix is too dry, add a little corn syrup, honey or maple syrup. If the mix is too wet, simply add a little more powdered sugar. You could even use bran flakes or a multi-grain cereal for a healthy boost. Once incorporated, roll balls 1-inch in size and set aside to chill. In the meantime, melt the milk chocolate chips in a double boiler or via the microwave. 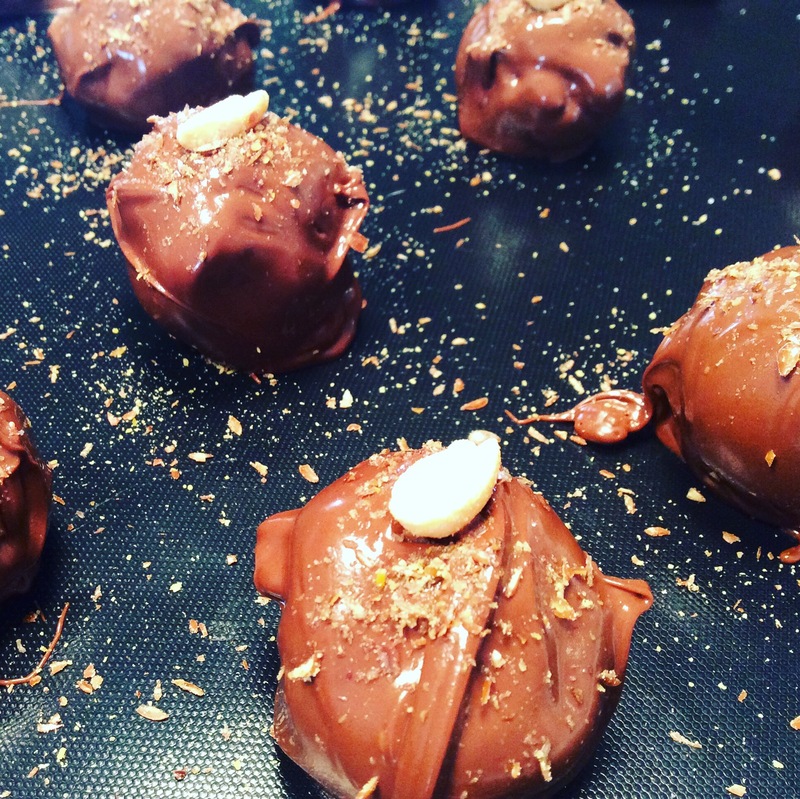 Dip chilled PB balls in the chocolate and place on a non-stick mat. Sprinkle with sea salt, crushed peanut, flax meal, wheat germ or anything you can think of! Allow to cool and enjoy!